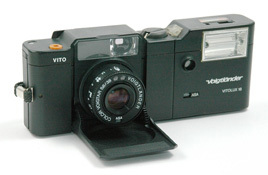 35mm Film. 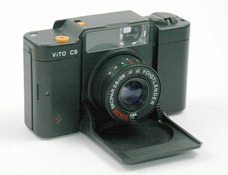 Cameras made of plastic. Looks like Minox 35 cameras. Made by Balda. 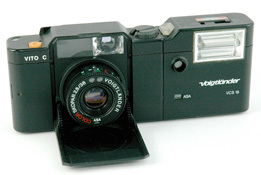 A dedicated flash can be fitted on the left of the camera.